This "recovering vegan" speaks from the perspective of having had her body become the battlefield of health issues that she is convinced were a result of becoming a vegan at the tender and idealistic age of 16. This is why she wrote the book. It is also a valuable and extensively thought out and researched intellectual exploration of what it means to care about the deep issues regarding today’s planetary crisis and how important it is to have correct factual information in order to weigh in on your idealism. When Derek Jensen, the original anti-civilization activist whose journey I still follow and respect, says that this book saved his life, I take notice. I heard about the book on a paleo blog discussing nutrition. The author, Lierre Keith is a lesbian. She makes reference to this once and I mention it here, because it is the lesbian community that is, in my world and generation, the largest block of vocal vegetarians. There are also straight women in my life who are vegans who are such anomalies in their own social strata that they are even more vocal about it; they are not afraid of standing alone on this issue for which I admire them and therefore must be equally prepared to know my own position. Then there is the Buddhist community who practice vegetarianism largely symbolically, but it is so much a part of the do-not harm precept that I must know my own position in order to know what it means to consciously be a "killer". And finally there is the vegetarianism of my own woman, who I must gently respond to on the matter. So this book was immensely helpful on all fronts and is neatly organized into the four main positions of the vegan: the moral perspective, the political, the nutritional value and the saving the world position. Morality is defined as an issue of harming and exploiting animals so that humans may eat and that it is wrong to kill. The author points out that such a position is restricted to personal emotional relationships with animals, especially cute, cuddly, warm blooded ones and not those that seem cruel or are too small to notice. She also brings up cultural attitudes of death and the hubris of humans thinking of themselves as the dominators of the world thus able to be superior in morality rather than just accepting that humans are a part of the eco-system of nature. The result of such hubris being that some animals are protected while the food that vegans do eat i.e. the grains of agriculture, are causing serious eco-side to the planet and eradicating habitat while making a judgement that plants are not sentient beings. Meanwhile soil must be fed with either animal products or petroleum products for those plants to grow at all. In addressing the construct of exploitation of animals in order to eat animal products, she introduces the position that animals have an equal desire to exploit us so they can eat with us and be protected by us in return for a life that may be longer than that lived in the wild. This is the only point I might bring up with a moral vegan given how much I am in service to my dogs, but only as a joke. Those who care for animals by hand on small farms are better able to speak to this idea of a reciprocal relationship. If faced with a vegan taking the moral position I would have to prepare for a long and nasty battle that would take us both down to the mat for very little benefit because the reasons given by this author would simply not suffice. So I am going to consult with my Buddhist teacher in order to figure out how to live with the label of being a killer and if that means I cannot also be a Buddhist or that I am relegated to a lower grade of Buddhist like the untouchables of India since someone has to deal with snails in the garden whether you toss them over the fence or stomp on them. In the arena of the political which is chiefly about math, this is an easy one to argue. The premise of the vegetarian is that eating lower on the food chain will allow more people to eat and thus feed the starving of the world on the finite allotment of land we have. The problem with the eating-lower-on-the-food chain premise is that it pits cows against humans, or rather factory farming against permaculture and small farms, when it is clear that factory farming is such an insult to both cow and corn that we can all agree that factory farming has to go. It is also safe to point out that agriculture, especially industrial agriculture, is an insult to the earth and will strip it of nutrients. Then point to the Polyface farm, made famous by Michael Pollan, as an example of getting the most food from a mere ten acres. It is not fruitful in my experience, to talk about population control and how it is going to be inevitable that we will not be able to feed everyone and society will degrade accordingly as we find ourselves in that predicament. This is the same discussion that has raged on for over a decade under the topic of peak oil. 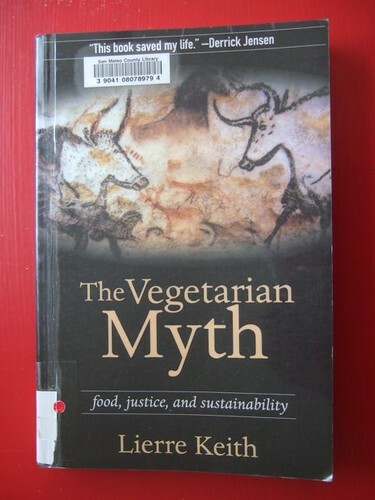 In the nutrition arena, the myth of being healthier-than-thou as a vegan simply doesn’t hold water and it is in this chapter that my current nutrition research was reinforced about a vegetarian diet being nutrient depleting and where I was introduced to the controversies of soy. We thought tofu was healthy because it was eaten in Asia and was, in some parts, worshipped as a pure food. Turns out that the only people who ate tofu in Asia were either poverty stricken and starving or were monks cultivating a non-harming, diminished libido lifestyle. I am indeed living with a monk wanna be who also complains of diminished libido. In the larger discussion of American nutrition, Dr. Weil still prescribes a cup of soy milk as beneficial despite studies showing correlation to breast cancer. I fail to see what the benefits are unless it is protein. The poignancy of the authors deteriorated health is the cornerstone of her book. At 16 she suffered pain so debilitating and so mysterious to her doctors that she did not truly address the connection with her diet until 20 years down the line because no doctor ever asked what she ate. What she had was a degenerative bone disease seen only in the very old. Plus a slew of other symptoms including depression, chronic fatigue and thyroid problems. Most of which are too far gone to repair with improved diet. She was treated by a doctor who specializes in recovering vegans. She is somewhat self-flagellating in this respect and it is with a mixture of compassion and repulsion for her earlier fanaticism that I come to know her in her writing. She makes fun of this fanaticism as well as that of other vegans some of whom are aspiring to live only on air. Seriously people. I also appreciate her comments on sentimentally as a psychological strategy to save one’s own idealism that is based on a false understanding of animals. The more mature route, she counsels, is actually taking responsibility for our part in the eco system and using our brain to be better stewards of it. Her final argument is about saving the planet by the way you eat. And how this is between death by hubris of human civilization because of agriculture or accepting death as a natural order of the universe because that is how it is. The latter is what will save the planet because the natural order of things is to preserve the planet so that all species may continue to survive. This is possibly the most fruitful discussion and the one I am least likely to encounter because it is so deeply philosophical. What she does not discuss is also worth noting. I believe that the unseen world of intelligence i.e. humans in a disembodied form with the help of nature spirits and other unseen forces also play a part in how humans behave in the course of their presence on the planet. This view includes the value of poetic and artistic expression. She is science based so none of these mysteries enter into the discussion of whether civilization is a good thing or a bad thing. She is in line with Derek Jensen about it being the worse thing for planetary health and all civilizations must inevitably fail leaving planetary destruction in its wake. There is no possibility allowed that humans are evolving spiritually to a different way of conducting what we call civilization so this is where I must part with their perspective. I prefer to evolve rather than deconstruct civilization. 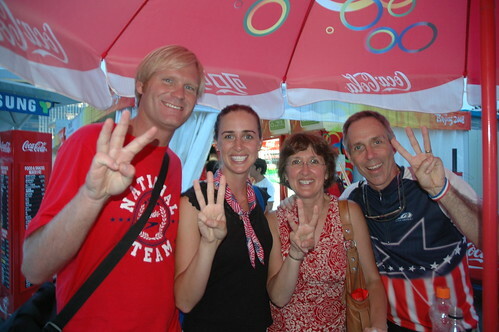 Start now and share the 3 finger "Peace Plus One" Sustainability Symbol with those you love and care about. We only have one life-sustaining planet… what are you doing to keep it liveable? Understand that the Sustainability Symbol represents a PERSONAL INTEREST in living a good and prosperous life – a life of balance in 3 dimensions – Society, the Environment and the Economy – or if you like "People, Planet and Profit" … and share the Sustainability Symbol and its meaning with at least 3 friends..
… that’s it! that’s all you have to do! RECIPE FOR "PEACE PLUS ONE"
3.) Peace, Plus One… the 3 finger Sustainability Salute! Cool! Leave the train wreck behind, stop thinking with a negative, disaster mentality…- take control of your life, and spread the good news that WE the People will make the new sustainable world happen. and following what we know is right for us and for the world. and PROFIT BY BEING PART OF THE SOLUTION, not the problem. A lot is going on in sustainability here, and 50 local residents gathered Thursday at the First Congregational UCC Church in Menomonie to learn more about what is happening.